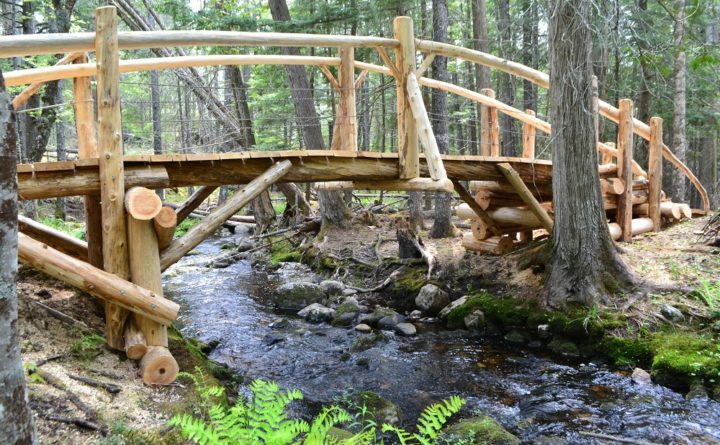 Blue Hill Heritage Trust opens a new trail across Peters Brook in with a ribbon cutting at 2 p.m. Monday, Nov. 12. This new trail will begin off of the existing Peters Brook Trail, go down a set of stone and wooden stairs to a bridge crossing the brook. From there, the trail will go onto the west side of the brook onto property gifted to the Trust by Doug and Posie Cowan in 2016, through the woods and to the west side of the waterfall. The existing Peters Brook Trail is owned by Bill Byers and Corinne Sucsy, who have the property under conservation with BHHT, and generously keep it open to the public. Please park at Peters Cove at either the main parking area, or at AB Herrick Memorial Landing. Please park by 1:45 p.m. and leave yourself 10 minutes or so to walk in to the new trail entrance about half way down the existing Peters Brook Trail.